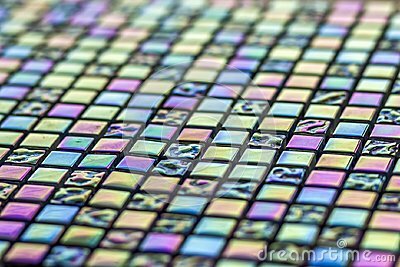 Geometric blue, purple and green mosaic tiles pattern. Wallpaper texture background. Small pieces tiles for construction and renovation works, decorative material for cowering walls and floor.